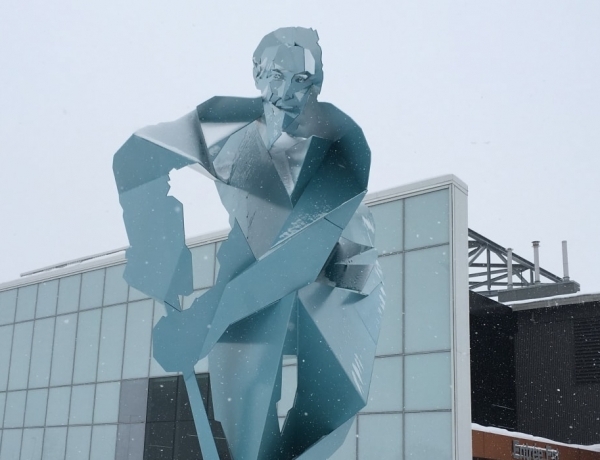 ARTICLE IN FRENCH | La Ville de Québec et la Commission de la capitale nationale du Québec ont inauguré l’œuvre d’art en hommage au célèbre hockeyeur Jean Béliveau. Intitulée Briser la glace, la création du sculpteur Éric Lapointe donne le coup d’envoi à l’allée commémorative dédiée au hockey, située place Jean-Béliveau. « Cette œuvre a été créée en anamorphose, c’est-à-dire que sa forme varie selon l’emplacement du spectateur, a ajouté le maire de Québec, M. Régis Labeaume. Lorsqu’on s’installe sur la rondelle située au sol, un imposant Jean Béliveau apparaît, alors qu’il se transforme lorsqu’on se déplace. C’est une création audacieuse et surtout, spectaculaire. Elle marque le début d’une allée qui présentera des œuvres fort diversifiées, qui ne passeront pas inaperçues. » Briser la glace mesure 28 pieds de hauteur par 30 pieds de profondeur. Très graphique, la sculpture évoque le caractère spectaculaire du joueur. Ses plans et ses angles sont complexes, comme les changements de direction vifs du hockey. In his new solo show “Chiaroscuro : A Stikki Obsession” at Galerie LeRoyer, the artist Stikki Peaches is presenting 20 new Interpretive Hybrid works inspired by the paintings of Caravaggio and his School. 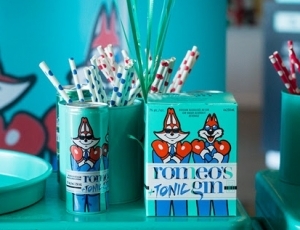 Many of the artist’s favorite iconic characters are present. Such as his favorite musical artists Jim Morrison, Amy Winehouse & Kurt Cobain, who all tragically died at age 27. This piece, originally titled Saint Cecilia with Two Angels by Caravaggio follower Antiveduto Gramatica, is now titled The 27 Club for the obvious reasons. The Lute Player as a psyched-out and surreal Jimi Hendrix. 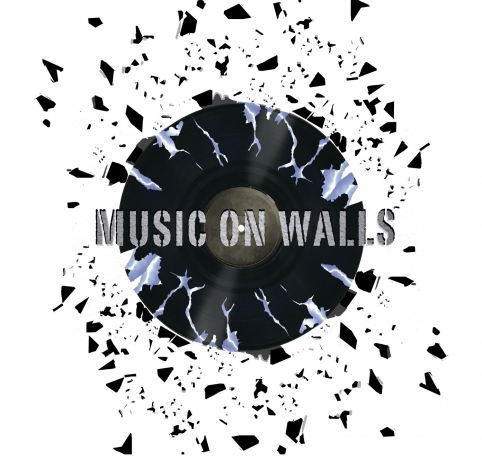 New Orleans music soars to new heights in a stunning new art installation in the Marshall Family Commons at the Goldring/Woldenberg Business Complex. New York artist Paul Villinski created “Currents” to celebrate New Orleans’ musical influence around the world. 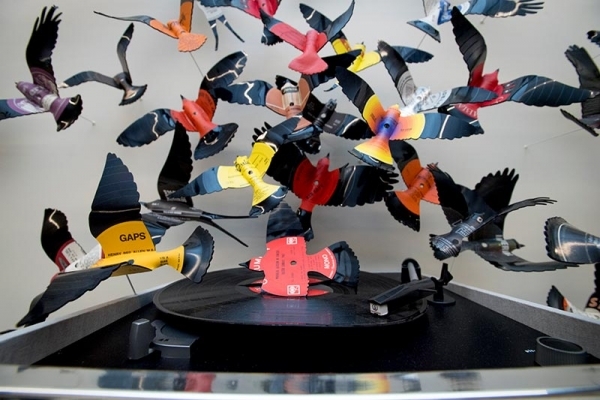 The work features 125 vinyl records crafted into a flock of birds that spring from a vintage turntable as they take flight across a wall in the lobby of the new unified building for the A.B. Freeman School of Business at Tulane University. Villinski created the birds using classic records from famous New Orleans artists like Dr. John, Ernie K-Doe, Sidney Bechet and more. 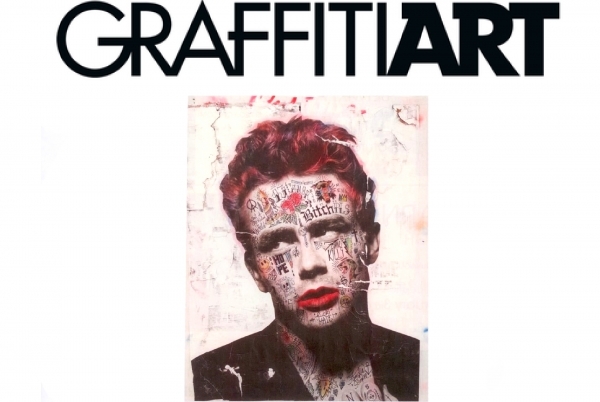 The Albin Polasek Museum and Sculpture Gardens will host international artist, Jan Kalab, in their upcoming show, The Soul of Graffiti: Jan Kalab. 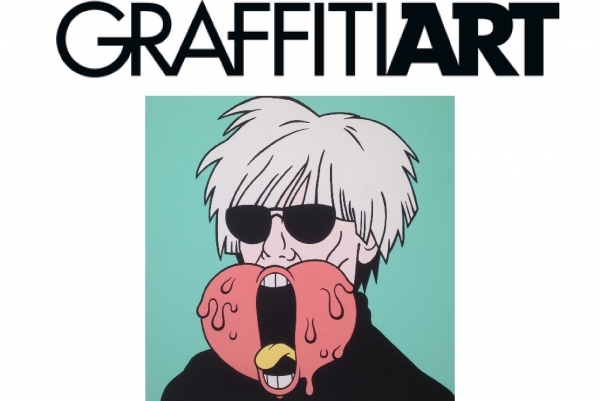 The upcoming show will feature Kalab’s classic sculptures, 3-D canvases, select new works, and an original installation. 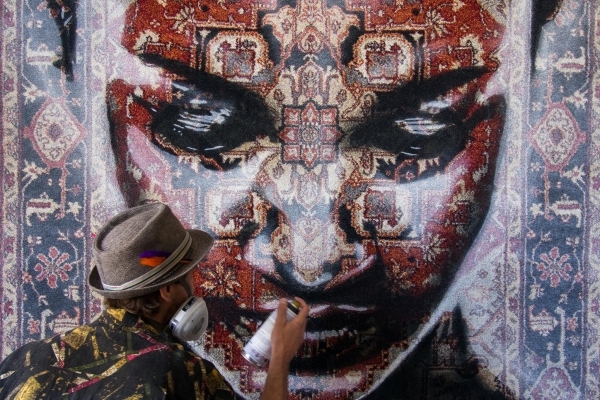 The Soul of Graffiti: Jan Kalab will run from August 28 to December 2 and is held in partnership with the Embassy of the Czech Republic to commemorate the 100th anniversary of Czechoslovakia. Ole Aakjaer is an internationally-recognized watercolour artist, whose love of music, literature, films and photographs, along with his childhood dream of becoming a cartoonist, has inspired him to create a unique and vibrant style of paintings that leave a lasting impression. This complexity of watercolour deepens the dramatic effect put forward by the artist with his use of abundant colourful hues and hidden symbolism, creating daring female portraits that cannot be forgotten. 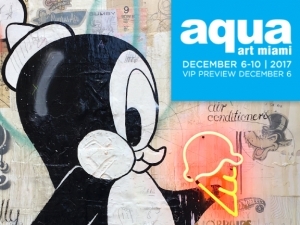 Jacqueline Surdell is part of a new group exhibition entitled Orwellian Offspring opening on June 29th and taking place at the Chicago Artists Coalition. 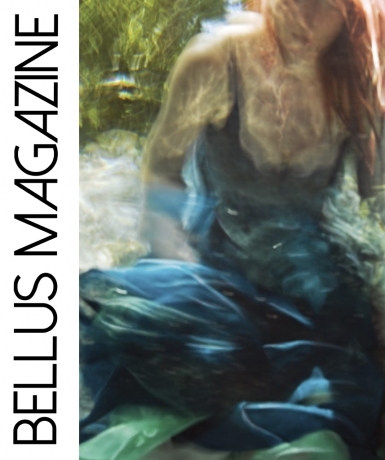 The exhibition also features the works of Mitsu Salmon, Marie Baldwin, and is curated by Courtney Cintron. 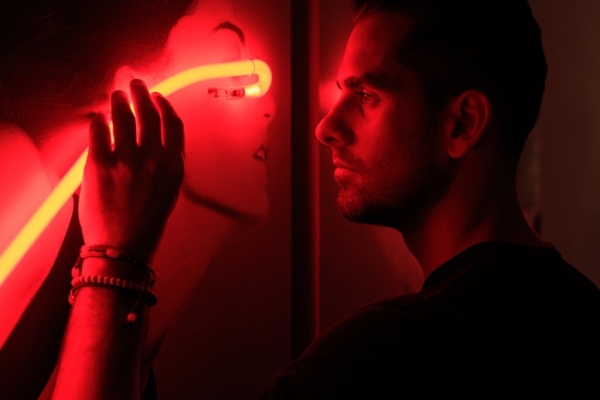 ARTICLE IN FRENCH - Art review of Focus exhibition on Mateo, published in the culture section of 24H Montréal on June 13th 2018. Yes, you're right: these surreal sculptures do look like they've been carved from stone or moulded from some kind of plaster. But incredibly, they've all been sculpted from wood alone. 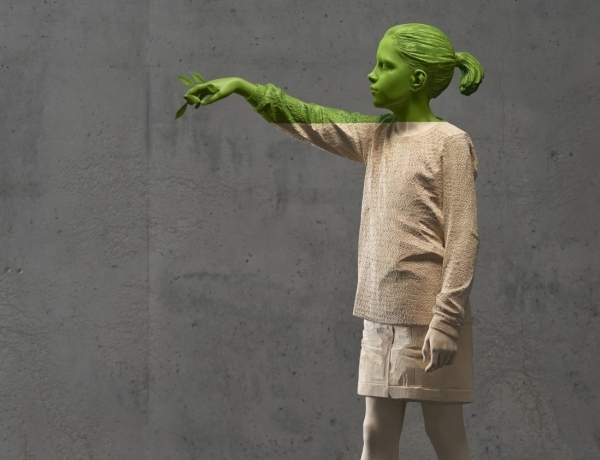 They're the creation of Willy Verginer, a 60-year-old Italian artist who lives and works in Ortisei BZ, South Tyrol, and whose works are located in numerous private and public collections, both Italian and international. A multitude of artists from modernism to present day were, and still are, interested in representing intimacy, a peculiar human activity related to sexuality. Without a doubt, such an art was an effect of the artist’s fascination with one’s body (or their own), but it also served as a critical reflection of certain social and political phenomenon. Nevertheless, regardless of any particular discourse, the young Russian painter Ivan Alifan produces authentic and quite uncanny works centered on the human body and in general the topic of intimacy. 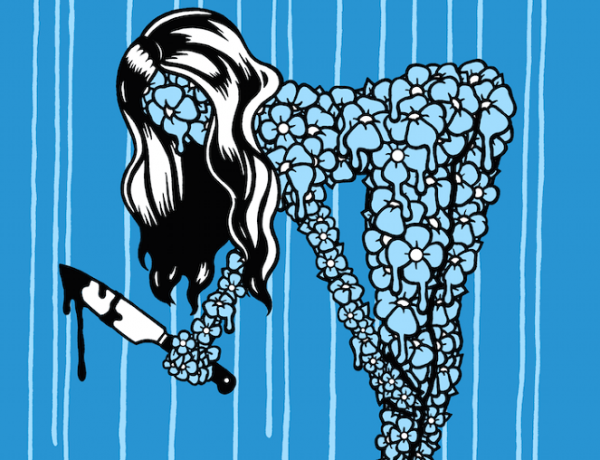 From a completely new perspective, the artist examines the very notion of what desire is by rethinking and reshaping primarily the traditional genre of classical portrayal. Willingly staying anonymous, Stikki Peaches pictures masked superheroes or overexposed fashion and movie icons that fascinated him as a child. Their faces are his playground. 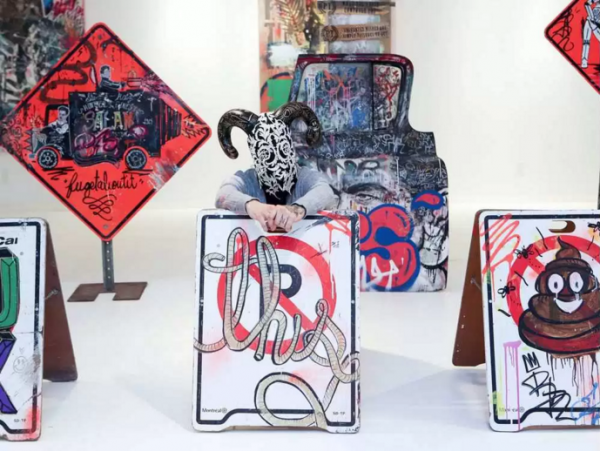 The Montreal-based artist gathers and superposes layers of paper, old magazines, comics, fabrics, reclaimed objects, then writes, spray-paints, tattoos and little by little transforms their irreproachable physique to convey his messages. 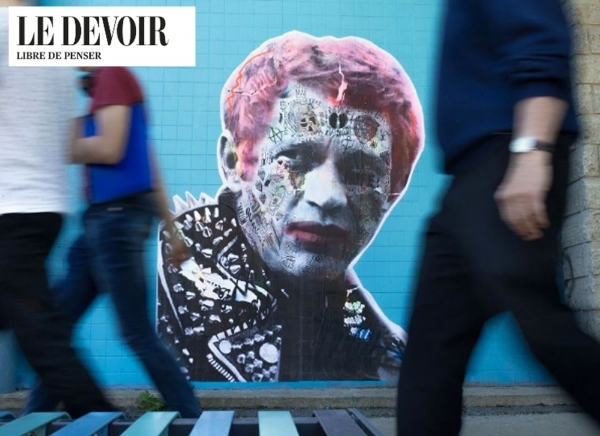 He leaves his wheatpastes on the walls of Canadian, American and European cities. If you stumble upon one, do feast your eyes on it as his street works are all original pieces. 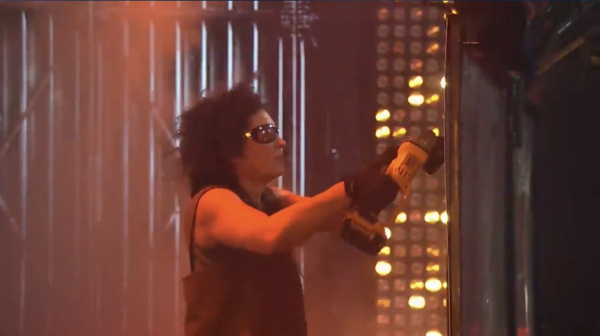 He is not like most other artists. Hell, he is not like most other people. He is a fast emerging Montreal artist, but he refuses to use his real name. He goes under the curious pseudonym of Stikki Peaches. 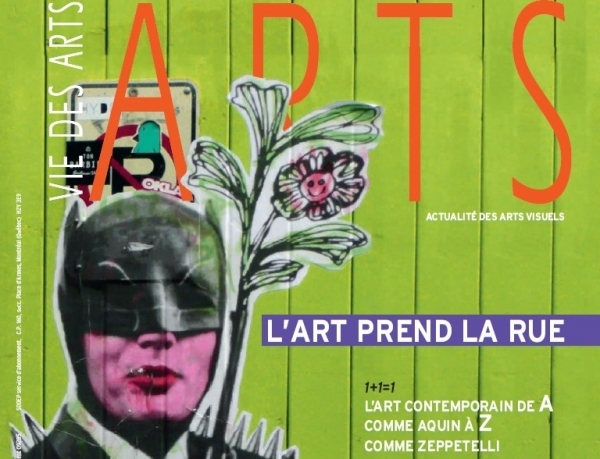 ARTICLE IN FRENCH - Autrefois perçu comme une « pollution visuelle », le street art est aujourd’hui porté aux nues, coté dans les enchères d’art et commandité de toutes parts. 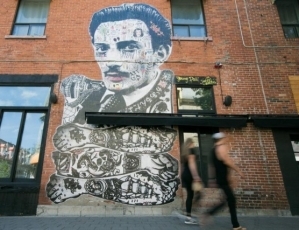 Dans la foulée, Montréal, où se tient depuis jeudi la cinquième édition du festival Mural, s’est taillé une place enviable dans le milieu mondial des arts de la rue et du graffiti. 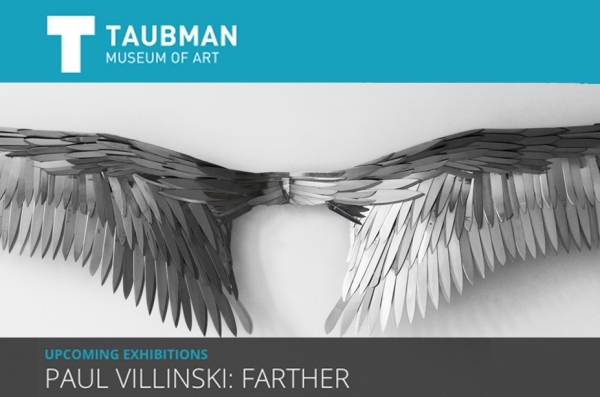 The Taubman Museum of Art is pleased to present the first, retrospective solo museum exhibition of sculptor Paul Villinski, (American, born 1960), known for his site-specific installations and transformative use of found materials. Paul Villinski: Farther will survey developments in Villinski's practice over the past decade, as well as publicly debut multiple new works. Paul Villinski's installations engage with subjects; both sublime and neglected. 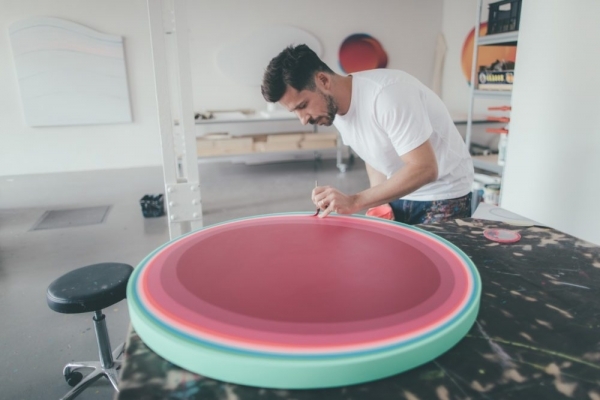 Influenced by a life-long concern for environmental issues, his work transforms seemingly discarded materials - often found on the streets of New York City - into uplifting and humanizing works of art. Flocks of aluminum-can butterflies, wings feathered with lost gloves, and fantastical flying machines evoke motifs of flight, metamorphosis and rebirth. 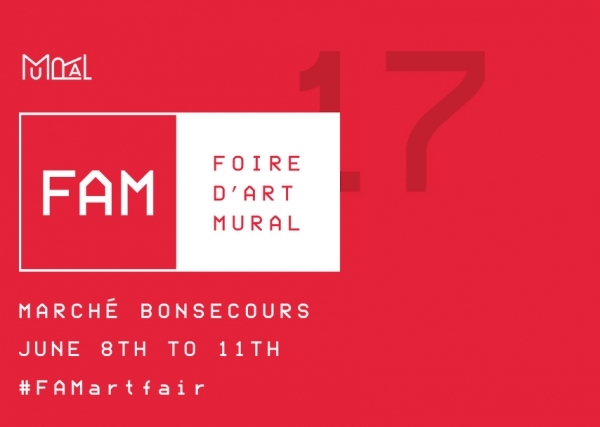 Galerie LeRoyer is exibiting Stikki Peaches & Tim Conlon at the 3rd edition of FAM - The Mural Art Fair will be taking place at Marché Bonsecours, a venue acknowledged as one of Canada’s top ten finest heritage buildings that is today a true emblem of Montreal. 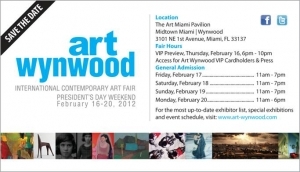 Presenting 18 exhibitors, FAM will be showcasing more than 100 urban and contemporary artworks from local and international artists. 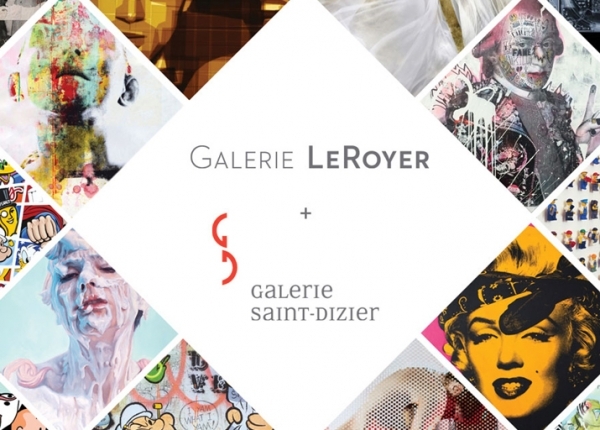 After 23 years, Galerie Saint-Dizier is merging with Galerie LeRoyer, Brian Brisson founder of both galleries as taken this action to enabled Galerie LeRoyer to double the exhibition space afforded to its artists, focus on its vision and gain a permanent space dedicated to exhibitions, vernissages and events. FENDI's Spring/Summer 2017 window installation feature new bespoke artwork by contemporary German artist Anke Eilergerhard. Countless pastel colored silicone swirls recall dollops of whipped cream, towering in precarious piles of fine floral porcelain. The French-inspired opulence of the collection continues into the sculptures, connecting the worlds of fashion and art through the lens of humanity's notions of beauty. 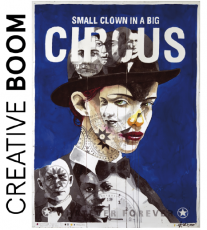 Every year CHEAP organizes a Street Poster Art Festival divided in two main components: pieces by guest artists and an open call for artists. 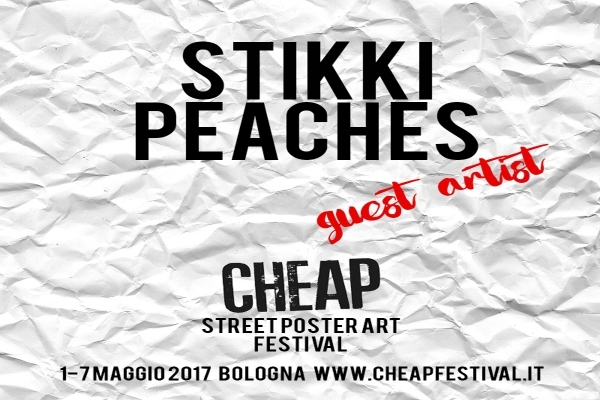 CHEAP selects guest artists to create site-specific work articulated throughout Bologna’s urban and suburban landscape. People's Choice Prize Winner at the Bombay Saphire Artisan Series. 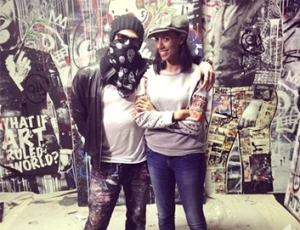 Since 2010, BOMBAY SAPPHIRE and the Rush Philanthropic Arts Foundation have provided emerging artists with an international platform to showcase their work. 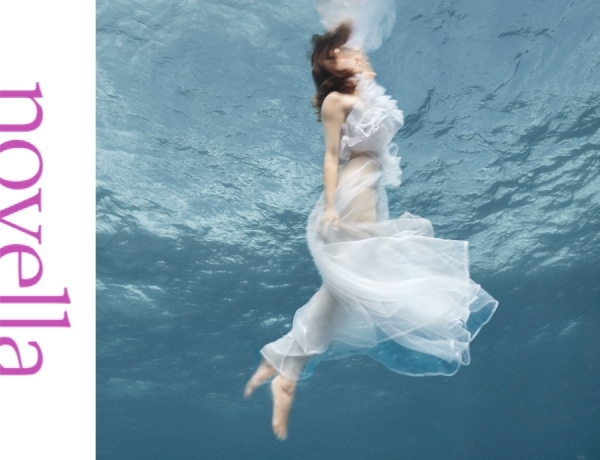 The Bombay Sapphire Artisan Series is a search to discover this year’s next big name in visual arts. 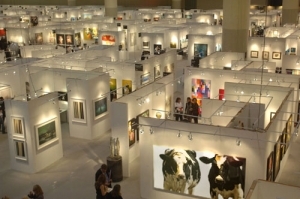 Thousands will submit their artwork online and selected artists will be rewarded with a platform to share their artistry with curators, collectors, and art enthusiasts around the world. 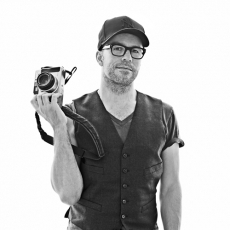 Fifteen years after taking Time Magazine's 9/11 cover photo, Calgary-born photographer Lyle Owerko continues to choose light over darkness. 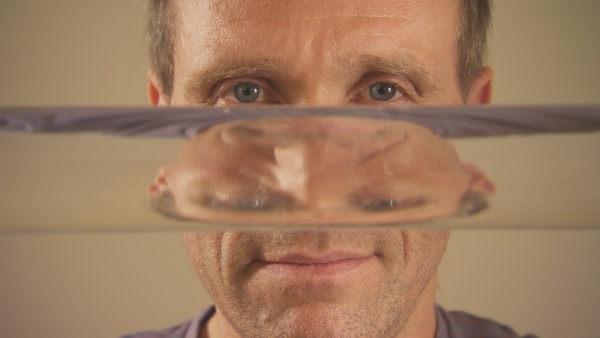 ARTICLE IN FRENCH - Le sculpteur Éric Lapointe pratique l'anamorphose. Cet art de haute voltige consiste à créer des formes en apparence chaotiques mais qui, lorsqu'examinées d'un certain angle, retrouvent leur sens. Étonnant! La Fabrique culturelle retrouvé le créateur à l'église de Deschambault. Il raconte commenter deux anges de bois fabriqués par Louis Jobin en 1815 ont dû être enlevés de leur socle extérieur à l'entrée du cimetière. 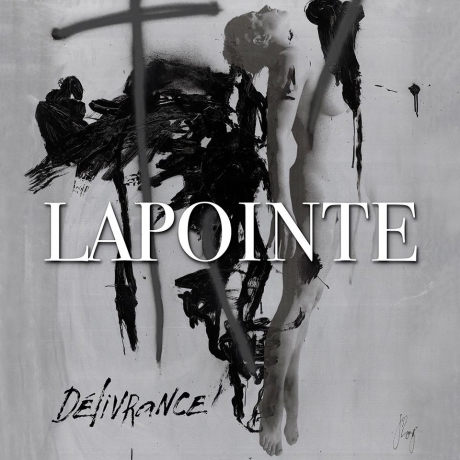 Pour les remplacer, Lapointe a proposé deux autres anges fabriqués selon le principe de l'anamorphose. Et il en va ainsi de sa production de pièces et de sculptures uniques. À découvrir. 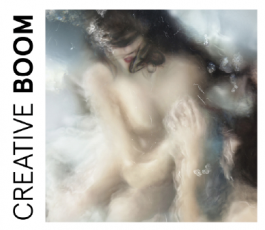 Galerie LeRoyer is pleased to announce its participation to Scope NYC 2015. From March 6th to 8th, 2015. VIP Opening on the 6th at 2 PM. VIDEO IN FRENCH - Rebecca Makonnen meets with artist Stikki Peaches for Formule Diaz tv Show, on Télé-Québec. 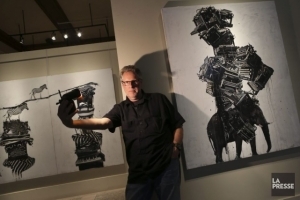 ARTICLE IN FRENCH - D'abord sculpteur dans les années 70, le Vancouverois d'adoption Andre Petterson est devenu un adepte des collages, de la peinture et de la photographie, avant d'embrasser une technique mixte qui donne d'heureux résultats. Galerie LeRoyer is pleased to announce its participation to the first edition of Context Art Mimia, from December 5th to 9th 2012.